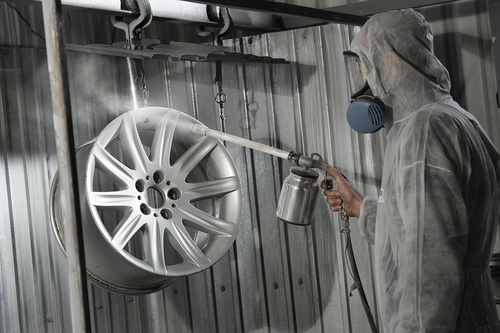 Purchasing a set of alloy wheels is a significant investment for vehicle owners. In some cases, installing alloy rims or mag wheels adds to the aesthetic appeal of cars. No matter how much caution we take when driving our cars, accidents and hazards on the road are unavoidable. Damaged mag wheels, scratched alloy rims, and curb scratches are common occurrences that vehicle owners need to deal with. To bring back the quality and performance of mag wheels looking like new, it’s ideal to have those valuable rims fixed by a Sydney wheel repair specialist. How to restore damaged mag wheels and alloy rims? Look for a car repair shop known for mag wheels restoration. There is no shortage of mag wheel specialists in Sydney, but only a few of these shops have amassed positive reviews and genuinely good feedbacks from their customers. You can Google the nearest alloy rim repair shop and pay them a visit for an initial assessment or a quick and inexpensive mobile repair service. Do your research before bringing your car to a mag wheel repair specialist. If you want to shop around repair shops in your area, go ahead and visit them to further inquire about the services they offer, the processes they follow, and the equipment and tools they use to tackle alloy wheel and rim issues. There is no need to replace bent rims or scratched mag wheels unless the structural integrity and performance are unsalvageable. A reputable mag wheel repair specialist should be able to perform a proper assessment and analyse if your prized mag wheels can be repaired or need to be replaced with new ones. The cost of alloy wheel repair in Sydney? The total cost of repair, restoration, and refinishing typically depends on various factors. The location of the mag wheel specialist, years of experience, equipment, tools and processes used are factored in during computation of services. The quality of results and workmanship does not always reflects the cost of alloy rim repairs. If you need a specific quote for your mag wheel problem, simply give us a call on 0421 136 101 today.